Voting is live now and will continue through Monday, July 3rd at 11:59pm. You can vote once a day, so make sure you check back each day to give your chosen hot spots a little extra love. 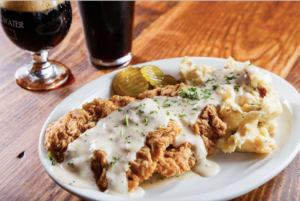 Click the link below to vote for your favorites in OKC, and if you love Pearl’s, Crabtown and Trapper’s, vote for Pearl’s Restaurant Group – we appreciate all the support! And, if you need a little voting inspiration, check out a few of our featured dishes that we think make us the winning choice in each category! 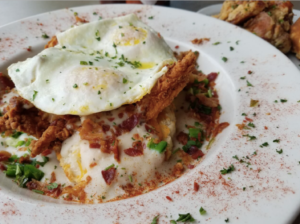 Homemade biscuits with melted cheddar cheese, fried chicken tenders, cream gravy, roasted jalapenos & crispy bacon crumples, all topped with fried eggs. 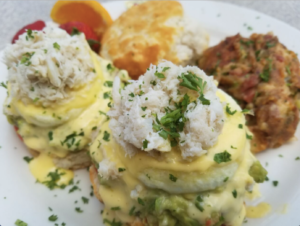 Buttermilk biscuits topped with sliced tomatoes, fresh guacamole, poached eggs, Hollandaise sauce and lump crab meat. 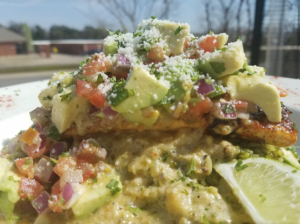 Served over cilantro rice and topped with a charred green chili beurre blanc, avocado and pico de gallo. 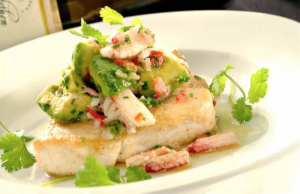 Topped with fresh crab, avocado, and a red chili vinaigrette, served with grilled seasonal vegetables. Hand harvested from the Gulf of Mexico, we serve the freshest oysters around. Try a dozen on Buck a Shuck Tuesdays, when they’re just $1 an oyster! 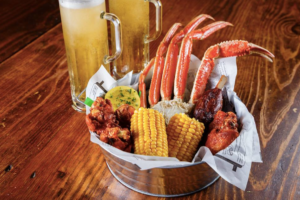 Snow crab legs, shrimp, Andouille sausage, corn on the cob, red skin ‘taters, even a boiled onion…you’ll feel like you’re right in the heart of south Louisiana! Hand-breaded to order Premium Angus Beef, served with made from scratch gravy and mashed potatoes. We’re not messing around with this Oklahoma staple.